If it’s car buying time again; don’t make these common mistakes! For some, car buying is a time when you feel great because you can’t wait to get into that new or used car. For others, it’s a time of anxiety, nervousness, and apprehension. For those in the second group (and you know who you are), it doesn’t have to be that bad. Don’t make these common car buying mistakes and the process won’t be as painful. Even if you do a great job negotiating the price of the car, you can still lose big if you don’t shop the financing rate. Taking the dealers rate is a good idea when the manufacturer has a special deal like 0% or really low financing, but if there are no manufacturer incentives, make sure you check with local banks and credit unions. Also, look at banking online. Banking out of state online is not only legal; it’s a smart move that can save you money. Did you research different makes and models? Are you buying a sports car with three small children having to sometimes ride in the car? Cars can be enticing eye candy to an unprepared buyer. Make sure you narrow your focus based on need, budget, lifestyle and other variables BEFORE you go to look at vehicles. Regretting your choice when it’s too late is not only disappointing; it’s also expensive. 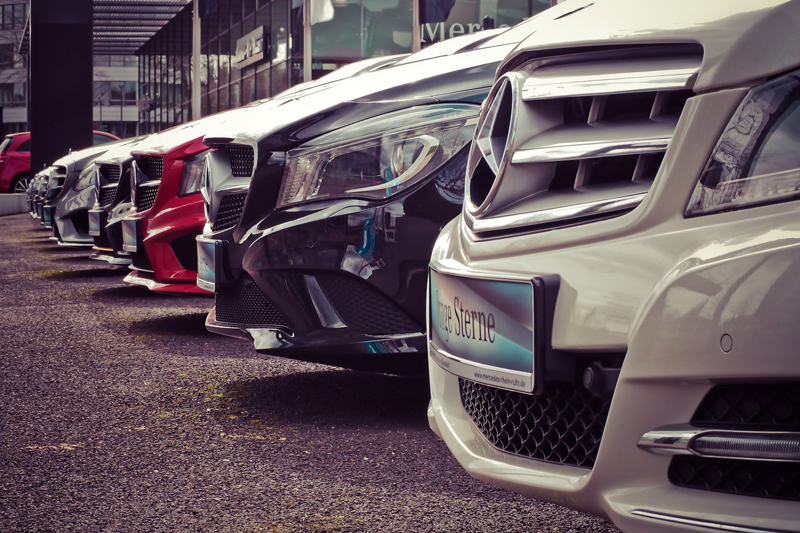 Once you choose the right vehicle for you, whether you’re buying new or used; you need to look at more than one vehicle from one dealership. They may tell you they’re giving you a great deal, you may think you’re getting a great deal, but unless you shop at more than one dealership you can’t be sure. Unless money is no object (hurts me just writing that), you should NOT buy the first time you go to the dealership. Why? You may think you know exactly what you want, but while you sleep on your decision, something may work itself into your conscious mind that changes your decision. Also, the great price that the salesperson gave you today, may become even better tomorrow! If you don’t use a personalized car buying service like ProAutoBuying.com when buying your car, you need to spend a lot of time researching availability and price. Review some of the online car buying sites and try to get an idea what online pricing is and then what the car dealer is asking. You may not get as good a price as using a professional car buying service, but with a good amount of research and some tough negotiating you can do OK.
Don’t ever talk to a car dealer about a price for a car based on how much you can afford each month. Yes you need to know that for your own budgeting, but if you tell a car dealer that amount, I guarantee you they’ll make it work. That’s not necessarily a good thing because they can extend your loan term or play games with financing. You may never know that you paid $ 2,000 more for the car than you should have if you didn’t negotiate the price instead of the monthly payment. Sure it looks great, but if you don’t get in and go for a ride, you could be sorry. Expecting a smooth comfortable ride and instead get a bumpy, noisy ride? If you don’t test drive, it’s nobody’s fault but yours. Even if you’re a tough as nails negotiator like us, don’t give the dealer the advantage by negotiating from their profit margin down. Negotiate instead from the dealer’s actual cost so that you can control the profit. So you’ve gotten a great deal on the price of the car you’re buying. Congratulations! Don’t give it all back because you don’t negotiate the value of the trade in. Unfortunately, many people do just that. If you’re buying and trading in, make sure you look at both when trying to decide which dealer to buy from. If you’re going to use an expert to help you get a great deal on your car, make sure that they will PERSONALLY negotiate the price for you. Car buying services that pass along the “best” price or use a pre-negotiated discounted price won’t give you as good a deal as a professional car buyer’s agent who personally fights for the best deal like ProAutoBuying.com’s experts will. We guarantee it. So when buying a car, avoid making these common mistakes and you’re sure to get a great deal! Need help buying your next new or used vehicle? Contact the experts at ProAutoBuying.com and you’ll get a personally negotiated great deal.